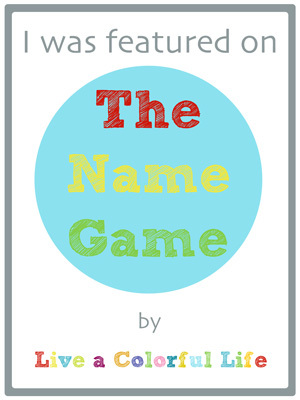 I'm so happy to have Carla from Lollyquiltz playing The Name Game today. As some of you may know, Carl and I recently discovered how many parallel things we have in common with each other: we were both born the same year, we both got married in the same year to someone we met at college in Kansas, we both have red hair, adore our grandchildren and are completely passionate about quilting. So we jokingly think we must be sisters separated at birth! Let's learn a little more about how Carla decided on the name Lollyquiltz. 1. How did you choose the name for Lollyquiltz? 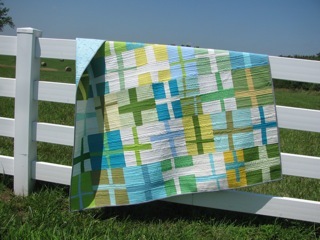 For those who know me well and my family, the name Lollyquiltz is not much of a surprise! Here's the long version of the the name "Lolly": When I was a very small child learning to say my name, Carla, apparently what came out sounded like "La La." My mother thought it was cute and changed it to Lolly, calling me by that nickname into my college years when I one day asked her to please stop. (Weirdly, I was THEN sad that she stopped!) Fast forward 30 years or so and I found out that I was soon to become a grandmother. I spent a lot of time thinking about what my grandmother name should be. For some reason, Lolly came to mind as a choice. When I asked my children what they thought of it, two out of three said "Go for it!" My oldest son, who rolled his eyes, as I recall, had to go with the majority rule! Lolly has turned out to be a great choice because it is easy for my grandies to say at a very early age (usually, they say La La first!) 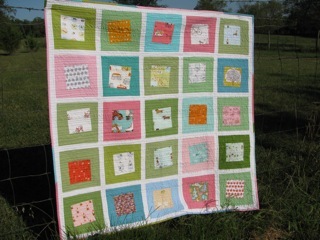 Because quilting is such a passion of mine and was to be the theme of my blog when it began, Lolly Quilts seemed perfect. I changed the last "s" to "z" just to be silly and different and ran the two words together into one, Lollyquiltz. There were a few others that I considered when I began my blog a little over a year ago. We had recently moved to the country after living in the city for years. Our house sort of resembles a cottage, I think, so "Cottage Quilts" was a consideration, or "Quilting in the Country." I decided that they were both sort of generic. Lollyquiltz is pretty unique! 3. Now that you are recognized by Lollyquiltz, are you happy with it, or do you wish you could change it to something else? I actually really like my blog name. It is short and pretty easy to remember, I think. The only drawback is that the "z'" on the end can be confusing, maybe. Oh well! I hope you will all head over to Lollyquiltz and say hello to Carla, and do some looking around while you're there. She has some awesome tutorials! Next week we'll discover how Krista came up with the name Poppyprint Creates. You won't want to miss it. 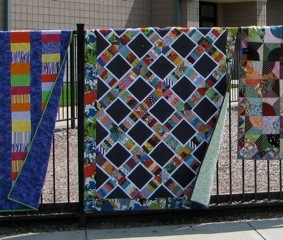 I LOVE all of your quilts, Carla! I think it is very endearing to resurrect 'Lolly' for your Grandma name that only the most special little people in your life call you! 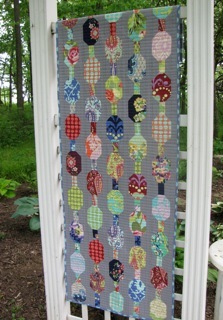 LOVE Lollyquiltz! It was so fun to hear about how your name came to be. And I agree... it's unique and memorable! 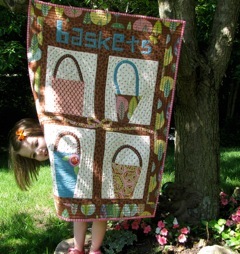 Excellent name, beautiful quilts, can't ask for anything more than that! These all of the prints which you have made ever there are looking very beautiful such that all the colors and all the graphics which you have used in this are very bright and they are suiting them.